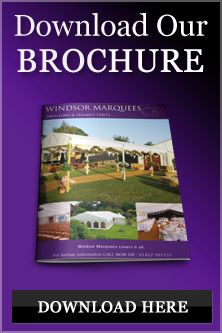 Windsor Marquees have be supplying marquees in Upton upon Severn and the surrounding area for many years. Priding ourselves on personal service, care and attention to detail. We will make your event a perfect and successful event. We specialise in hiring marquees and accessories with our dedicated staff to ensure you can relax and enjoy your day, whatever the occasion within Upton upon Severn and its surroundings. Upton may be small but it is a hive of activity and hosts a number of major festivals each year which attract people form overseas as well as all corners of the UK. A friendly town with a wealth of places to eat drink & sleep despite its relatively small size, and businnesses serving most of the needs of locals and visitors alike without the need to venture further a field. Visitors will have no problem finding plenty of things to see and do within easy reach of Upton. Upton is not short of history either. The Battle of Upton in 1651 during the Civil War saw 12000 men cross the river here – then the location of the only bridge across the Severn between Worcester and Gloucester.